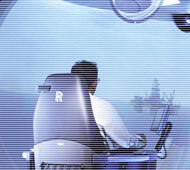 Seatech is a shipbuilding consultancy founded in 2003. We are based in Spain, and work in shipbuilding consultancy worldwide. The development of ship design and shipbuilding projects worldwide, using FORAN, is Seatech’s principal focus. Our consultants are ready to travel to the site, and will spend whatever time is necessary working at the shipyard. Would you like to work overseas, in a stimulating international environment, and learn to work with FORAN? We can offer an effective Training Sessions can be as short as three days and typically run a week or less for each discipline. Production drafting and detail design. 3D production Model, Expanded Plate, Assembly Drawings, Nest Drawings, Stiffener Plots. Ship design and shipbuilding projects. We will spend whatever time is necessary working at the shipyard until completion of the project. We can offer an effective Training Sessions. We can customize your training so that you can get the maximum cost benefits and productivity from Foran. The FORAN system is an integrated solution enabling the full design of the ship, by means of five sybsystems: Initial project, hull structure, machinery and equipment, electricity and accommodation. The result is a full 3D model of the ship.